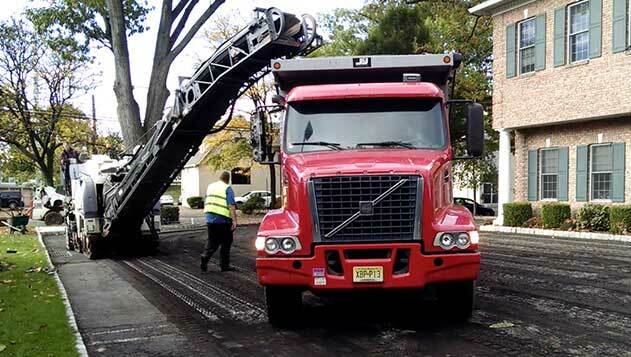 Do you need an expert Ridgewood asphalt paving contractor? Call (201) 327-5258 to set up an appointment for a free estimate, so we can help you come up with the best possible solution. Find exciting online deals and coupons when you click here now. Pavement certainly isn’t a glamorous substance, but it is underneath our feet and vehicles for a lot of the time we are out of our houses. We take it for granted, but if it starts to break down and fail, it’s easy to remember why we counted on it in the first place. We have been providing exceptional paving services to the people of New Jersey since 1995, and whether it is driveway, parking lot, curb or sidewalk, we always meet expectations. Click here if you’d like to read online reviews of our work. Why Is Driveway Drainage So Important? Drainage is one of the more important aspects of having your driveway paved, for some very important reasons. If the slope and grade aren’t accurate and rainwater drains toward your house instead of away from it, you may end up with a situation where mold has infiltrated the basement and caused health issues for your family. If the poorly drained water pools on the driveway, it will weaken the asphalt and cause cracking, holes and eventually become dried and brittle, causing it to break apart. If you manage a parking lot at a mall, store, school, hotel, stadium, or apartment complex and that parking lot is poorly maintained, you will be faced with both safety and financial issues. If the lot is not maintained correctly, small damage will become big damage and the repairs will be costly. Cracks and holes around the parking lot also pose a safety threat because people can step in them, strollers and carts can fall in them and it increases the likelihood of accidents. If your asphalt or concrete fixture is damaged or just needs a little maintenance to get it back to where you want it to be, call McFarlane Asphalt today at (201) 327-5258 in Ridgewood, NJ. We will send someone out to assess the situation and come up with a solution that best fits your budget and the situation.